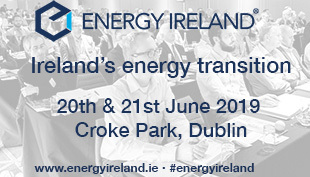 Electric Ireland ended the first quarter of the year with the announcement that it is the first supplier of energy in the Gas to the West project and goes into the final quarter with confirmation that it is the third largest seller in the residential market. 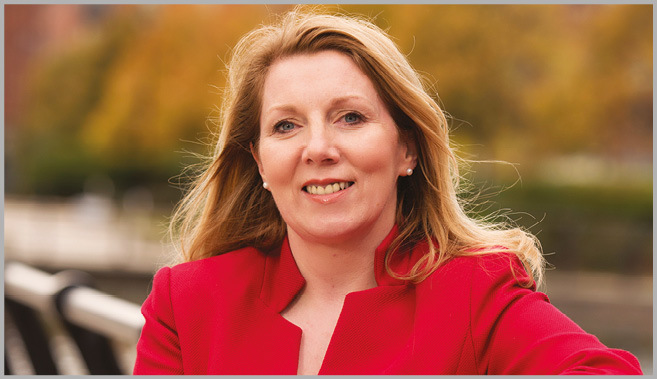 Clare McAllister, Sales and Marketing Manager for Electric Ireland, writes in agendaNi about the path to success. This year got off to a really great start for Electric Ireland with the Gas to the West project coming to fruition on the business side; and on the residential side, the company being named the top ranked electricity supplier in Northern Ireland with an impressive customer score of 80 per cent by impartial product and service reviewer, Which? Magazine. Of course, the contract worth £2.2 million per annum to supply gas to LacPatrick’s site at Artigarvan didn’t happen overnight, it followed a highly competitive seven-month process. Nor did the work end on completion of the commissioning phase; we worked very closely with the LacPatrick team during the commissioning and we will be maintaining that support, identifying and delivering energy and cost saving opportunities. As with all our industrial and commercial clients we will continue offering LacPatrick real, valuable support by helping them to maximise their energy efficiency, providing access to day-to-day account management services and expert advice in the form of wholesale market updates and forecasts. Similarly, with SME clients we not only provide a strong product offering but we also work with them to help them make best use of their energy. For example, in the hospitality sector we are working with clients such as the Beannchor Group, supplying a number of the group’s properties with bespoke contracts and access to smart technology to review consumption on a daily basis, maximising their energy efficiency. Meanwhile in the residential market we are reaping the benefits of the smart and simple offer we launched with just two years ago this month, to become the third largest seller in Northern Ireland. Some 58,000 energy consumers across Northern Ireland have switched to us and we are on target for continued growth. I think people are appreciative not just of our straight forward offer of £50 switching bonus and loyalty bonus of £25 per year thereafter, but also of the commitment we have shown to Northern Ireland through our sponsorships. Many people in the business world will know we have worked with the Northern Ireland Chamber of Commerce for a number of years now, helping them support Northern Ireland’s SMEs by delivering world-class speakers for the Growing Something Brilliant series. More recently we have partnered with the Management Leadership Network and with the Northern Ireland Hotels Federation to support their work. Supporting the wider community, we have continued our long-term sponsorship of the Electric Ireland GAA Minor Championship, bringing a new dimension this year with the launch of the Minor Star Awards, which recognises the talent and commitment of the Minor players who give so much and we were delighted to see so many Ulster players feature. Also, earlier this year we launched our Game Changers campaign in support of Northern Ireland female football at all levels. This innovative partnership with IFA, which also sees Electric Ireland become the official energy partner to the National Stadium at Windsor Park, aims to boost female football participation rates across Northern Ireland with Electric Ireland the official sponsor of the very successful UEFA Women’s Under 19 Championship in August, the Women’s Challenge Cup and Girls’ Post Primary Schools Football and Schools Cup. We are delighted with the reception the campaign has had amongst consumers to date and are pleased that they recognise us as game changers in the energy industry.